Galleri Thomassen is pleased to present FLAT AND SPATIAL, an exhibition featuring works by Gabriele Basch, Marie Dahlstrand, Martin Formgren, Olof Inger, Anders Johansson, Ivar Lövheim, Elin Odentia, Linnea Rygaard and Sara Wallgren. 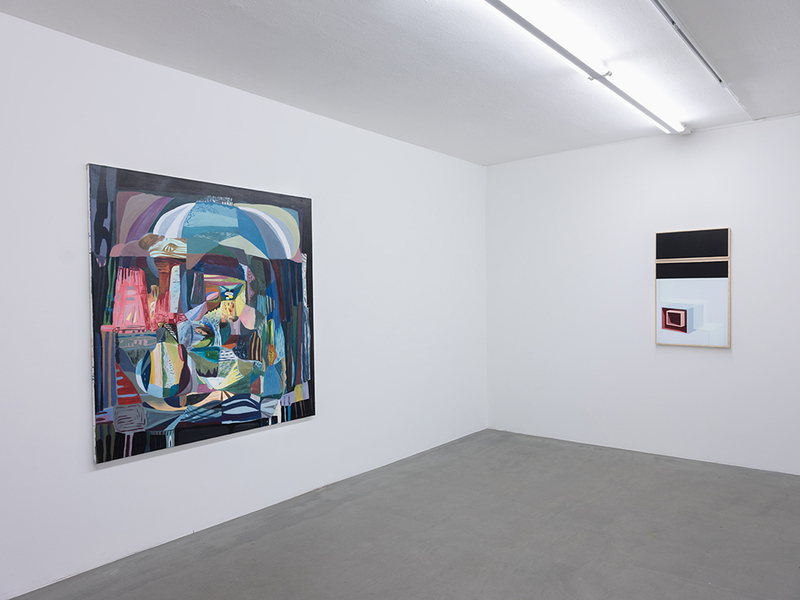 FLAT AND SPATIAL brings together a group of artists whose work examines different modes of abstraction as a means to give visual form to personal experience while also investigating its ability to act as a catalyst for reflection, confrontation, and possibly, a greater understanding of the everyday. 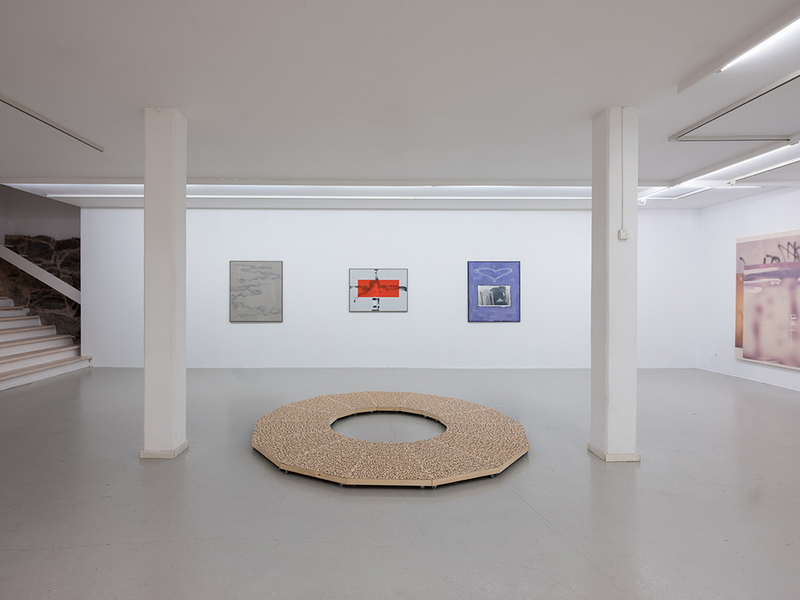 The vibrational, phenomenological, and emotional shimmer of the world is at the center of Gabriele Baschs, Olof Ingers, Ivar Lövheims and Anders Johanssons work. Lövheims painting Yoga position I consists of a sequence of repeated lines of yellow that shine, buzz, and hum, disrupted by purples that fade to white and a band of blues and greens. It is a record of repeated motion, connecting time to space. delineations between representation and abstraction. 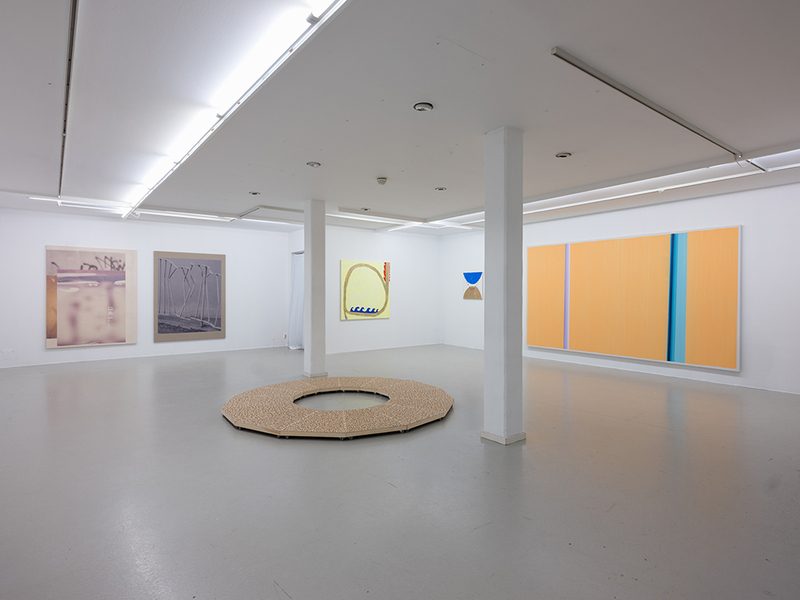 Linnea Rygaards, Marie Dahlstrands and Elin Odentias works reminds us that a painted abstract image is a new fact, something that did not exist in the world until it was made. The possibilities of a kind of transformation of the two-dimensional surface into a three dimensional body is also investigated in Sara Wallgren piece Becoming, based on the myth of Echo and Narcissus. Together this group of artists works brings forward that definitions such as abstraction and representation shouldn´t be accepted at face value, and that the works ultimately needs to be seen and discussed on their own terms. The exhibition is curated by artist Bea Marklund. Gabriele Basch (b. 1964 Bad Homburg, Germany) lives and works in Berlin and Hamburg. She graduated from Hochschule der Künste Berlin in 1993. She is represented by Galleri Thomassen. Marie Dahlstrand (b. 1973, Lidköping) lives and works in Gothenburg. She holds an MFA from Valand School of Fine Arts (1998). She is represented by Galleri Thomassen. Martin Formgren (b.1976, Norrköping) lives and works in Gothenburg. He graduated with an MFA from Valand Academy of Art in 2009. He is represented by Galleri Thomassen. Olof Inger (b. 1979) lives and works in Stockholm, Sweden. Inger received a BFA from the Royal Institute of Art (KKH) (2012) and an MFA at Yale University, USA (2014). He is represented by ANNAELLE Gallery in Stockholm. Anders Johansson (b. 1979, Uppsala) lives and works in Stockholm. He holds an MFA from Valand School of Fine Arts (2011) and a BFA from Umeå konsthögskola (2009). 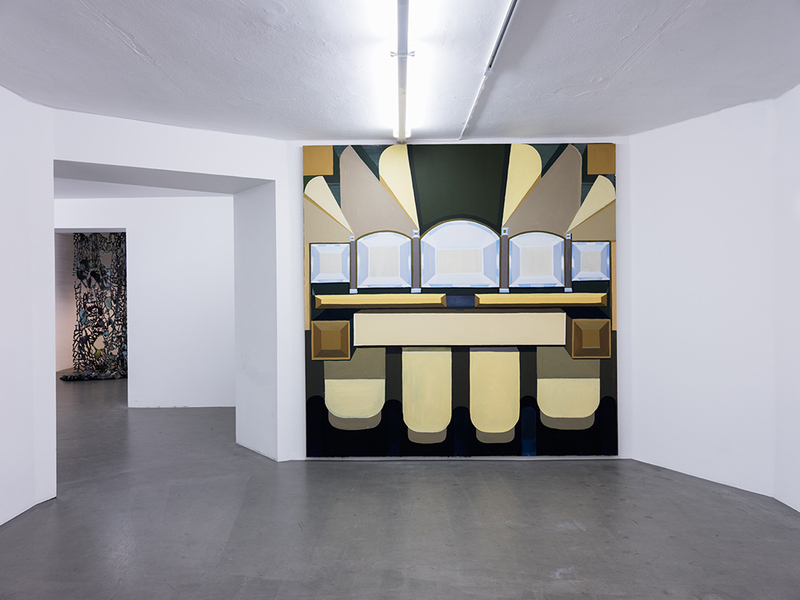 Johansson had his latest solo exhibition at Loyal gallery in Stockholm, 2017. Ivar Lövheim (b. 1983, Skellefteå) lives and works in Bohuslän, Gothenburg, and Stockholm. He received his Bachelor of Fine Arts from the Royal institute of Art (KKH) in 2017 and is currently doing his Master studies at the Royal Institute of Art (KKH), Stockholm. He is represented by Galleri Magnus Winström in Gothenburg. Elin Odentia (b. 1990, Ödsmål) received her Bachelor of Fine Arts from Konstfack University College of Arts, Crafts and Design in spring 2017 and is currently doing her Master studies at the Royal Institute of Art (KKH), Stockholm. Linnea Rygaard (b. 1990, Gothenburg) holds an MFA from the Royal Institute of Art, Stockholm (KKH) (2016) and attended Skowhegan School of Painting and Sculpture in Maine, USA, in 2015. She is represented by Cecilia Hillström Gallery in Stockholm. Sara Wallgren (b.1981. Garphyttan) lives and works in Berlin. She graduated from Malmö Art Academy with an MFA in 2010. She is represented by Galleri Belenius in Stockholm.